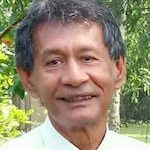 Of all the lunatic contradictions, absurdities, and incongruities that mark politics and public life in Sri Lanka the most outrageous in recent times must surely be the shameless way in which the rebels who actively opposed the Prime Minister in the recent abortive no-confidence motion, continue to cling to their cabinet portfolios like leeches. Likening their tenacious hold on public office to the parasitic depredations of a blood sucking species of segmented worm is indeed apt. For the perks privileges and manifold luxuries of cabinet office which they are reluctant to let go of are all funded by the beleaguered tax paying masses of this country. Truly in Sri Lanka truth is stranger than fiction. One does not know whether to laugh or to cry at the absurdity of it all. The issue is not whether one was for or against the no confidence motion or even one’s personal feelings about the PM. The point is that given the most rudimentary understanding of the ‘ done thing’ in a democratic tradition if they had even an ounce of shame, all the government MPs who joined hands with the enemies of the government in an abortive bid to oust their own Prime Minister – should have had the honour to resign their government portfolios well before they even cast their vote in parliament. And that is not all. Even the cowardly ministers without backbones who sat on the fence, absented themselves and so abstained from voting, should have had the courtesy to tender their resignation as a matter of common decency, enabling the PM to use his discretion in terms of section 42(2) of the constitution and advice the President that some if not all of them might be reappointed. But that is a far cry from how things are done in Sri Lanka nowadays where to voluntarily renounce power and give up any public office high or low on a matter of high principle is virtually unknown. By contrast one recalls how in 1951 when SWRD Bandaranaike resigned from the cabinet and crossed the floor confessing “I have conquered myself” – he quoted Milton “Human ambition is the last infirmity of mortal man”. True when in 1956 he gathered round him a motley rabble from amongst desperate Buddhist monks, teachers and native physicians and rode to power on an inflammatory slogan of “Sinhala only in 24 hours” at one stroke, shattering the trust between races and laying the foundation for decades of ethnic conflict – SWRD proved that he himself was not immune to Milton’s “last infirmity of mortal man”. Nevertheless the fact remains that far back in 1951 he was driven by his principles to voluntarily resign from the post of Minister of Health and Local Government. A better example was Dudley Senanayake a gentleman politician of the highest integrity who in October 1953 resigned as Prime Minister citing poor health, although it is widely believed that the real reason for stepping down was his anguish over the deaths of several demonstrators during the previous Marxist hartal. And in more recent times one recalls the case of the late Gamini Jayasuriya who resigned as Minister of Agricultural development, Research and Food and left the government over his principled opposition to the Indo-Lanka Accord. Such men seem like extra-terrestrials from some other planet compared to the monstrous greed of today’s Ministers who tenaciously cling to their ministerial posts even after attempting to oust their own Prime Minister and failing to do so. Of course one expects that where such shameless hangers on fail to do their duty by resigning, they would be removed forthwith by those who exercise supreme constitutional authority over them. Consequently just as dispiriting as the stubborn refusal of these rebels to resign is the President’s seemingly stubborn reluctance to remove them. In any other reputable constitutional democracy in the world the mulish indifference of a head of state to what ought to have been an obvious and natural response, would have been interpreted either as the naivety of one whose intellect and education was on par with that of a “rural official” or worse the crass insensitivity of one who has the hide of a rhinoceros – as reflecting the distinction between folly and knavery. As the nation waits with bated breath for a new cabinet purified of dissident ministerial maggots who might corrode good governance from within, one can be philosophical about the Sri Lankan political culture where ministers are so enslaved by high office. If as the saying goes people get the government they deserve then it stands to reason that the morality, values, and standards of politicians must mirror those of the masses who voted for them. There is some comfort in pragmatically falling back on this reality. We must not forget that Sri Lanka is a place where doctors go on strike and desert their patients in monstrous violation of the most basic tenets of medical ethics. Medical students manipulated by politicians and supported by their own medical deans gratuitously boycott classes for 10 long months spitting in the face of generous tax payers who pay for their education. During elections millions of people think nothing of voting for notorious political thugs bandits and criminals with blood on their hands. The sanctimonious humbug and outward show of false religion and empty ritual are to be seen everywhere. They conceal the galloping vice and widespread corruption that pervades Sri Lankan society, fed by the popular delusion that a periodic outpouring of merit will wipe out the shame of sin as easily as paying in credit will settle a debit balance in the bank. 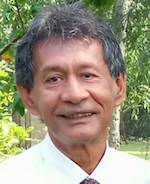 The prevailing societal values and standards are characterized by a mentality in which many Sri Lankans will sacrifice any principle, betray any cause, stooge any benefactor, for the fleeting vanity of a duty free vehicle, a foreign jaunt at state expense, or elevation to some undeserved rank and title. So it is comforting to set the outrage and absurdity of the rebel ministers who are refusing to resign in the broader context of the prevailing moral culture in contemporary Sri Lankan society. But there is a far broader context understanding which enables us to temper rage with resignation. The prophet Moses writing in the Biblical book of Genesis around 1445 BC in a famous quotation bemoaned the harsh reality of human depravity centuries before, at the very dawn of history “Now the earth was corrupt in God’s sight and the earth was filled with violence. The Lord saw that the wickedness of man was great in the earth, and that every intention of the thoughts of his heart was only evil continually . . . .” Looking around the world today it is obvious that in that respect nothing has changed ! In the final analysis the dishonourable clinging to ministerial office of a few puny Sri Lankan politicians without scruples however disgusting is but one more tiny example of the universal pollution in the depths of the human heart. That was a fine article and unfortunately, all the bad things it says about this country, its politicians and the majority of its people are true. It is high time. He has proved to be the biggest trouble maker and protector of the thieves and criminals. How do you expect this to move forward ? What do u think of the wisdom of NGO cabal who brought him to power? He could fool ALL of them, isn’t it? Wonderfully written and brilliantly worded. An apt description of the public officers who hold the highest offices in the country. They are nothing but a burden to the public, yet the people get the government they deserve. I appreciate wholeheartedly all what the good professor had said in his forthright essay. Everybody says the same story. Sri lanka became unibeluevably corrupt since the JRJ time. Probably, Mahinda Rajapakse and Ranil are the peaks of that. thos eministers who are rebelling also do not have good background checks. they are thieves who is rebelling against a Gang leder of thieves Take Ravi Karunanayake. He has multiple accustaions which are public. Both Maithripala sirisena and Ranil are silent. Se how Ranil how corrupt is. His every day life is a Fraud. there is anohther part most are are unaware, suspicious and are not discussing. the MCC influence It began as soon as the Yahapalana govt came. MCC boss via Belgium gave the Ranil’s govt lot od money. that man is famoous as an economic hitman, introducing printed money to destroy economies. buying good investment at cheaper prices by disintegrating the stock market. Tanil and Arjn Mahendran both were in Beljium. that man also was here very recently. IT is simply that among three dead, one is tasitn honey. that kind of story for politicians. Sri lankan people are just crabs in boiling water. then the LTTE war is still active. that is Protestants are adament that 31% of minorities are superior to 69% of sinhala buddhists. So, Muslims are both sides in the equation. So, do tamils. So do the followers of baby Jesus. Politicians are fighting for their own advancement in the middle of International Geopolitics. It took seventy years of playing (Snakes and Ladders?) to whittle down the teams to three. Looks like the finals may come soon. There will be several draws then perhaps a penalty shoot outs. Then what? Over the years the rules on corruption has got deleted. The team captains never ever mention corruption. The rule “Wealthy must get wealthier” is now the accepted norm. Naturally the ‘Craving for a Cabinet position’ is insatiable. All these melasies are due to one and only one man – the loose nut Punaku eating shameless Sirisena. It’s his power greed causing all these commotions. He, on the onset said, loud and clearly for all the world to hear that he would be one term President, and would scrap the executive presidency for good but went back on this. He and his cabals have tasted the power, and now they don’t want to let go of it. Only threat for him right now is Ranil, this is causing so much hardships and pain to the normal forks. He is pinching and rocking the baby at the same time, and showing an innocent face to the world. Now is the high time to chase this bugger away, else he would destroy everything. Do any one sensible would go to bed with the discarded murderers and looters, his aim is come what may, stay at the top for as long as possible even if the country and people go to the dogs, he is least bothered, only thing he and his cabal want is power at any cost, and enjoy it the hilt. This is the only reason is he making everything hard for Ranil, UNP and the people. What can you do Mr Ekanayake when God Himself is sloppy in His duties? Siting on His own wisdom. His total lack of foresight that has led to followers of his Messengers killing one another. His decision to send down no more prophets after Abdullah Mohammed (PBUH) 1400 years ago seems to be the only sensible one He has ever taken for He(PBUH) has left us with enough problems. Even history says the power hunger and power hungry politician can blind the majority of this country. Classic example is Sinhala Only. Unfortunately village people still venerate SWRD Bandaranayke for nothing. Bandaranayke has been in Oxford University and Mr. Lee Kwan Yew has been in Cambridge University. But now you can see the difference between crook and the real gentleman. After independence, 7 decades have been completed. Foolish people boast and celebrate for nothing. Singaporean just only completed 5 decades. They commemorate and celebrate their freedom with pride and stability. Unfortunately still people of our country have not understood these leaders and crooks have completely destroyed country. Sir where were you all this while ??? we need more people like you to enlighten our retarded public. If not for people like you, Tisaranee and few others Lanka would have been history by now. THANK YOU so much.Please keep writing. The craving for ministerial office is due to the perks and the power to make a lot of money illegally. While the people go hungry the politicians are at the trough. A Minister is paid a salary (as of 2017) of Rs 65,000 a month. Drivers allowance 3000 per month. MPs daily sitting allowance and committee allowance of Rs 2,500 each. Allowance to purchase office equipment such as a computers, copier and fax machine. Postage facilities worth Rs 175,000 a year. Duty free permit to import a vehicle under their name. Subsidised meals in the dinning area at parliament. Young MPs without higher educational qualifications receive direct admission to the Sri Lanka Law College without setting for its entrance exam. Free body massages, in addition to a comprehensive health care insurance. On the completion of 5 years an MP becomes entitled to a government pension for life. On 19th November 2016, the Prime Minister RW said that the monthly salaries for MPs are not enough for them to fulfill their duties, and needs to be revised soon to strengthen the parliamentary system for 2017. Accordingly, he proposed to pay a Rs. 100,000 monthly allowance to each MP to carry out his duties in his electorate. In addition to this, it was proposed that air travel facilities should be made available to MPs in the North and East. You are a man after my own heart . The question is though , how much longer are the inhabitants of this beautiful island going to remain impotent bystanders ? Blessings to you . The author’s understanding of the changes in 1956 is only an expression of elitist (“thuppahi” as Philip G. would have put it) contempt for the plight of the common man. He proceeds to attack opposition to the subversion of medical education without uttering a word about what led to the crisis. Abstention could be an act of bravery, although I am not awarding any medals in this instance. The extra terrestrial Dudley played dirty in the July 1960 election accusing Sirima Bandaranayake of trying to divide the country. He introduced the poya week (which the author should remember) in 1965 from which Sirima B had to extricate the country in 1971 by getting round the Mahanayakes. The man is widely remembered for his subsidised rice, and please do not tell me that it was out of love for the poor. Can I have more particulars about the ‘principles’ that drove Minister Gamini J to oppose the Indo-Lanka Accord? If the the Good Lord saw that the wickedness of man way back in 1445 BC, what the hell has been doing all these days, especially with so much evil done in His name by his followers? Professor, you have inadvertently omitted the names of Dr. W. Dahanayaka and S.J.V.Chelvanayagam who resigned as MPs to press home their avowed policies. For the present MPs the temptation and perks are so high. Interested people must carry out a public campaign to cut down the facilities and perks given to our so called ‘servants’.